This entry was posted on Thursday, March 22nd, 2012 at 9:34 pm and is filed under Anonymous the movie, literature, Roland Emmerich, UFOs, who was shakespeare. You can follow any responses to this entry through the RSS 2.0 feed. You can leave a response, or trackback from your own site. You say there is a mountain of evidence for the fact that the guy from Stratford wrote the plays. Is there a place where you or someone else has summarized this info for those of us who don’t have the time or patience to look into everything? I ask because most of the time I see folks talk about this they spend their time tearing apart the arguments made by the Roland Emmerich’s of the world and not presenting the positive evidence for Shakespeare and I’d really love to see that somewhere. Well, the best place to find evidence for Shakespeare’s authorship is in a good edition of the Complete Works, such as the Riverside Shakespeare or the Norton Shakespeare. They don’t directly argue for Shakespeare’s authorship (they generally take that as a given), but in the supplemental material, they include documents relating to Shakespeare’s career: references to him and his works (and to him as author of his works). James Shapiro’s Contested Will: Who Wrote Shakespeare? is an excellent resource, as is Stanley Well’s Shakespeare & Co.: Christopher Marlowe, Thomas Dekker, Ben Jonson, Thomas Middleton, John Fletcher, and the Other Players in His Story. We’ve written a lot about Shakespeare on this blog. I’m not sure if there is one post that summarizes the positive evidence for Shakespeare’s authorship. I’ll rummage around a bit and see what I can find. Hilarious! however you forgot the most obvious example. Homer! After all all how could a almost completely unknown, blind and possibly illiterate Greek singer of epics possibly have composed the Iliad and Odyssey. Only a blue blooded time traveling reptillian Edward de Vere could have done it. As for proof well Edward when he wrote as William Shakespeare wrote Trolius and Cresida based on a incident in the Trojan War so of course if he wrote that he must have wrote the Iliad and Odyssey! After all no mere human, not esspecially a uncultured possibly illiterate mere Greek singer could have done it!! A time travelling, immortal reptillian simply makes more sense!! You make a compelling argument. Plus, Chaucer (or should I say “Chaucer”) wrote Troilus and Criseyde, Shakespeare’s primary source for the play, so–obviously–there’s a connection between Homer, Chaucer and Shakespeare. He liked words–not alien words, which tend to involve a lot of z’s and k’s. Interesting, because nowadays they involve a lot of glottal stops, e.g. “T’Pau” or “R’lyeh” or “N’t’n’h’n’y”. 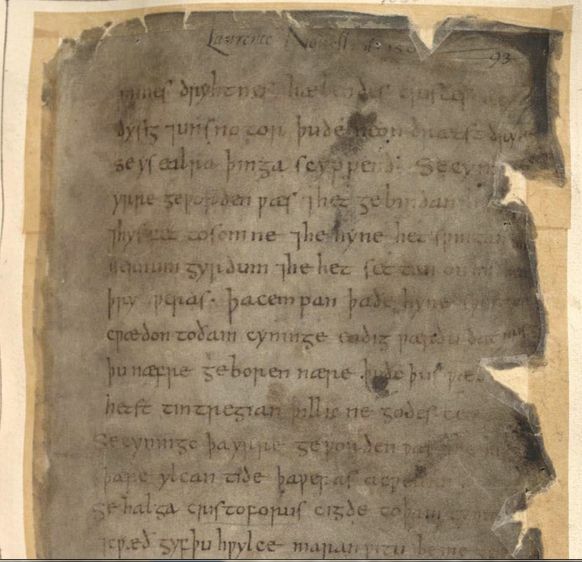 I wonder if something like Grimm’s Law is involved; we would need a larger corpus of alien manuscripts from the fifteenth and twentieth centuries to check. Re the time-traveling alien, do you suppose it also wrote the Voynich Manuscript? We can’t read it so it might must be in an alien language. That would mean the alien was Roger Bacon, which makes sense since it also later impersonated Francis Bacon in order to write the “Shakespeare” plays. Oh my heavens… It’s all so clear now… PIGS… IN… SPACE…! That would be G’Rimm’s Law. Of course, the G’Rimms were not a reptilian species; indeed some people claim that G’Rimms’ Tales are actually anti-reptilian. I think it’s obvious that the Voynich MS must be alien. 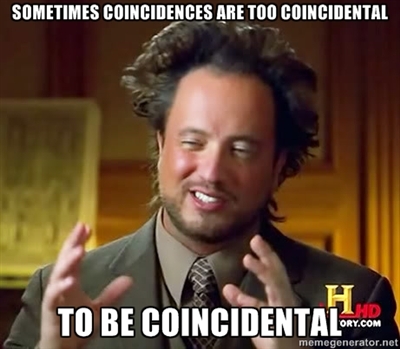 Funny thing about conspirators–they’re mind-bogglingly clever and insanely inept at the same time. 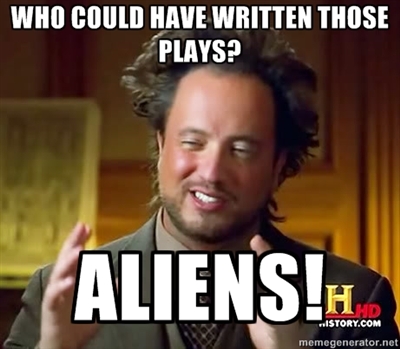 They fit in so well, but then leave a crazy manuscript full of alien writing lying around. It could have been his notebook, with rough drafts (“Friends, Romans, assorted peasants”). I’m a little worried that we now have two aliens (Oxford and Francis Bacon) writing Shakespeare. Perhaps it was a collaboration. But what I want to know is, who wrote Friar Bacon and Friar Bungay? How can you come so close and not see see the Truth? SHAKESPEARE WAS THE DOCTOR! And do you really think that someone named Gallifridum wasn’t from Gallifry? Don’t be ridiculous. Shakespeare and the Doctor met, in that episode where the Globe was actually a portal designed to free a race of witches from their imprisonment in another dimension. If they were the same people wouldn’t one of them have said something? I sort of stopped paying attention after Tom Baker–in any case the real draw of the show was Richard Dawkins’ wife. In a related note, I miss Douglas Adams. Maybe the Doctor was using Shakespeare because he couldn’t have produced the plays as “the Doctor.” After all, several times the Doctor said something that Shakespeare hadn’t yet written. Oh sure, they make it seem as if the Doctor was familiar with the lines because he’s a time traveler and had already read them, but how do we know he didn’t actually write them? Indeed, Shakespeare didn’t think up the lines. They didn’t originate from him–he heard them first from the Doctor. Perhaps the Doctor wrote the plays, but in such a way that Shakespeare actually believed he was the author. I still think the real author was a reptilian, though. Look at all the references to serpents in Beowulf. Clearly the poet identified with the dragon and the sea serpents, or perhaps he viewed them as competitors. Or something. 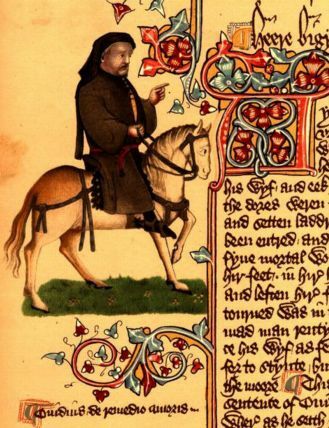 By the time he wrote Chaucer, he’d figured out how to “play human” a little better. In the latest issue of Skeptical Inquirer there was a letter from some guy who actually said that only some with a aristocratic back ground could possibly have written Shakespeare’s plays and that since Shakespeare was “middle class” and had only a Grammar School education he could not have written the plays. Such idiot snobbery is compulsively funny. Of course this could only be uttered from some one whoose knowledge of Elizabethian anf Jacobean theatre is minimal. Just how does he explain Marlowe, Jonson, Fletcher and a whole slew of annonymous writing plays? Obviously he has not because he doesn’t hav e a clue about how plays were written and produced. I note that it is easy to argue that since Shakespeare’s plays show considerable detailed knowledge of the stage and theate bussiness etc., that only someone who was an actor and/or a member and stockholder in a theatre company could possibly have had such intimate knowledge of the theatre. Since Shakespeare was an actor, member of a theatre company and a stockholder he obviously had such knowlwdge. Isn’t it easy to turn it around against the snobs.